The secret to exceptional coffee lies in the preparation. 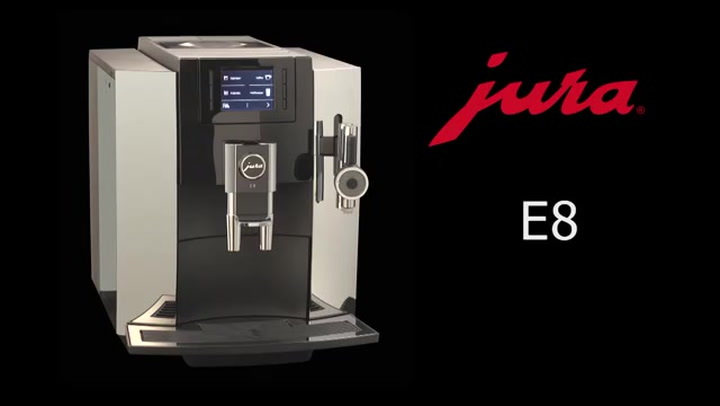 Jura has perfected the espresso brewing process, allowing the E8 to make speciality coffees to professional barista standards. The six level grinder ensures that coffee beans are ground quickly yet gently to preserve the aroma. The pulse extraction process optimises the extraction time and guarantees the best aroma even for short speciality coffees, and with eight different intensity levels, coffee lovers can customise their brew just the way they like it. E8 Smart model includes the smart connect. This product comes with a 25 month warranty.